Dicor Products has been a leading supplier of component products to RV manufacturers since 1984, most notably as a supplier of premium roofing products. We are also very well established in the RV aftermarket, where we?re well known for roofing repair and care products and wheel covers. Our Versa Liner? wheel cover brand, in fact, has more than one million sets in service. In a brand restructuring, Dicor Products has recently been recast as one of four affiliated company brands of Dicor Corporation, which also include Seal Design, United Shade and Vixen Composites. Dicor Corporation is the overall corporate umbrella for the different companies, including Dicor Products, each of which operates independently with its own customers, while sharing a common ethic of service and innovative product development. Most Dicor Products offerings are sold directly to OEM customers, many of which share a deep and long-standing relationship with us. In this role, Dicor Products actively seeks out best solutions for our customer?s particular challenges. We are constantly looking for innovative ways to serve the RV industry with select, proprietary products and services that improve manufacturing productivity and create greater satisfaction for the RV dealer and RV buyer. We have recently introduced a number of new products in this regard. All new products are of proven quality and tested for RV use. Our engineering and RV production expertise enables us to provide personal, on-site, value-added support to our customers. For our customers, this means we help determine how best to install and use our products to improve production and installation processes. Dicor is a financially strong, owner-managed and operated company, agile and able to quickly adjust to changing market conditions, with a diverse product offering. 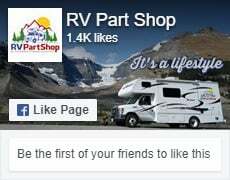 We?re located in Elkhart, Ind., the heart of the RV industry, with warehouses strategically located throughout the United States and Canada. In 2010 we expanded into a new facility at 2965 LaVanture Place to consolidate corporate resources and expand our service and value-added capabilities.